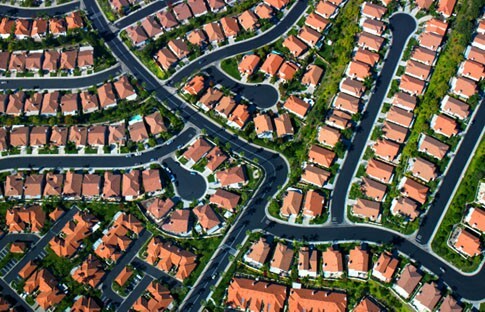 So, what about density and growth management goals? Parks advocates are often asked about how to square the very laudable need to create a compact, transit-friendly, walkable city, the 20% increase in population projected for our area in coming decades, and the restrictions imposed by the growth management regulations, with our proposal to save 150 acres of land, known as the LBA Woods, for parkland and not housing developments. The City’s own Comprehensive Plan is sometimes cited as demanding that land—these Woods—inside the urban growth boundary line be fully built upon to meet these guidelines and prevent sprawl and the future loss of farmland and forests outside the drawn boundary. These are good questions and unquestionably important considerations. Parks advocates support growth management, walkable-city goals, and other quality-of-life policies–many which are beautifully expressed in the thoughtful work of the Thurston Regional Planning Council’s Sustainable Thurston. We are very interested in saving forests and promoting urban agriculture as is evidenced by our efforts to save this forest—and the next one too, should the boundary line be extended outwards in the future. There is space around the periphery of LBA Woods that is ideal for community garden plots, food stands, and demonstration garden areas that would promote urban agriculture. Many growers are now looking to integrate food production within cities and blur the line between farms and towns to increase food security near where people live and not sequester production in remoter areas. For an inspiring example of a successful project based on this new kind of thinking, read about this Seattle urban forest garden project. 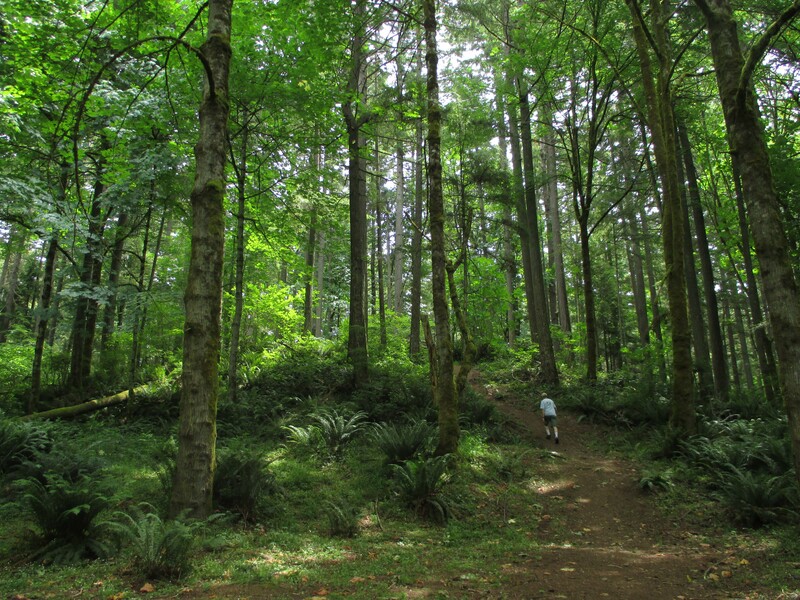 Southeast Olympia—where the LBA Woods are located—already accepts its “share” of population growth. The schools are full to capacity and the roads are hectic with traffic now. Adding 800 housing units to an already crowded area will only exacerbate the untenable situation. The type of housing projected to be built is the epitome of sprawl: car oriented with no nearby services or amenities planned. It is suburban in character with no mix of urban-style services, no nearby work places or businesses, no coffee shop gathering place or other community enhancing facilities. It would be a “development,” not a true neighborhood. Is this what we value? No planner should be satisfied that this is what we want and need for our City. “Smart Growth” advocates write extensively that the existence of parks and open spaces are the foundations of building density in urban spaces. The “breathing room” afforded by saved natural areas allow housing to be more tightly clustered, which in turn promotes transit use and better use of utilities. But without those places of respite, studies show that there is an increase in stress-related illnesses and impacts. Quality of life is diminished without access to Nature. Open spaces even promote economic development as they raise property values and the city revenues derived from taxes. Businesses thrive and draw more people in areas rich in parks. And there is myriad documentation concerning the economic and health benefits of the eco-services provided by areas of natural environments. The health and wealth of cities and city dwellers is intricately tied to the preservation and maintenance of open space areas. LBA Woods with its large tree canopy, well developed native plant understory and rich habitat for wildlife already has the qualities needed to help control flooding, filter water, clean air, and other services, not to mention offering inviting trails and places of wonder and delight that refresh walkers of all ages and conditions. So, if we save LBA Woods for all these reasons, we are still left with where to put the houses that might have been built there. The City has carefully mapped and zoned its land base. Its own goal to promote downtown housing of a more urban style should be supported and emphasized. There are possibilities for infill and density that is vertical rather than horizontal in many places. For instance, we have many already denuded empty strip malls that could be re-imagined as urban villages without the need to bulldoze a forest. We have not even begun to look at what assets already exist that could be used for housing. Architects like Seattle’s Liz Dunn and others are already designing beautiful solutions that accommodate more people without creating unlivable spaces. (For leading Northwest thinkers on this topic, see www.dunnandhobbes.com, http://www.worldchanging.com/ or blog.buildllc.com). Read more in the Comprehensive Plan here. Learn more about Sustainable Thurston here.